Dress up your event with this creepy, customizable Halloween Flyer. 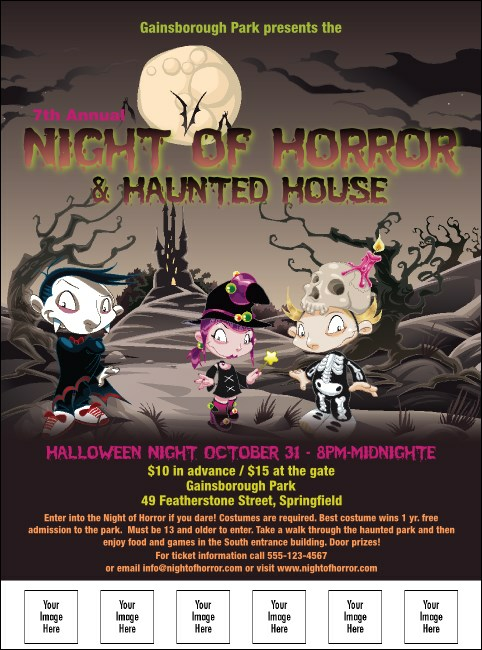 Part of the Costume Kids Event Kit, this full color Flyer features the spirits of the night in the form of three tiny trick-or-treaters dressed as a toothy vampire, a wicked witch, and a bony skeleton, on the path in front of a haunted mansion. Thrill your guests with matching publicity from TicketRiver.com.au.